The United States can become more energy efficient and create more "green" jobs by adopting some of the strategies used by the European Union and Australia to rate and disclose the performance of commercial and government-owned buildings, according to a new RAND Corporation study issued today. "Nevertheless, investments in renovation and energy-aware construction should be part of a green jobs strategy," said Charles Ries, the report's lead author and senior fellow at RAND, a nonprofit research organization. "If the United States wants to be a global competitor in green building technology, it can learn from the ways in which information disclosure, building codes, financial incentives and benchmarking have been used in Europe and Australia." Building codes have been effective in improving energy efficiency in new buildings and in buildings undergoing major refurbishments because they are mandatory and have specific requirements. However, codes are slow to have a significant effect on energy use because at most three percent of a nation's building stock is newly constructed or renovated, the study finds. The EU now requires all member nations to have energy efficiency elements in building codes, and the EU codes must be reviewed every five years. Since a building's good energy performance can be attractive to potential buyer or tenant, the EU has made presenting a standardized rating of a building's energy efficiency before or at the time of sale or lease an integral part of its approach. In 2002, the EU began requiring energy performance certificates be presented for all building sales or rentals. Some Australian states also require energy efficiency certificates. 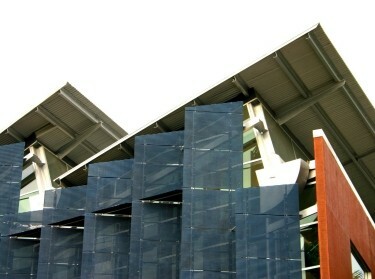 The ratings may be based on a building's design characteristics, energy performance, or both. Many highly rated building designs fail to perform up to potential, however, often because of the way they are managed or because of tenant behavior. "Incentives may be needed to improve the energy efficiency of older, poorly performing buildings where the biggest aggregate gains are to be made," Ries said. "Ratings systems should be designed to allow for achievable improvements for older buildings, so the perfect is not the enemy of the good." The study, "Improving the Energy Performance of Buildings: Learning from the European Union and Australia," was supported by the U.S. Real Estate Roundtable, and the U.S. Building Owners and Managers Association. Charles P. Ries @charles_ries, Joseph Jenkins, et al.